Completely Re-Designed to Provide a Full Complement of Bi-Directional Signals for Almost Any Digital Camcorder On the Market. 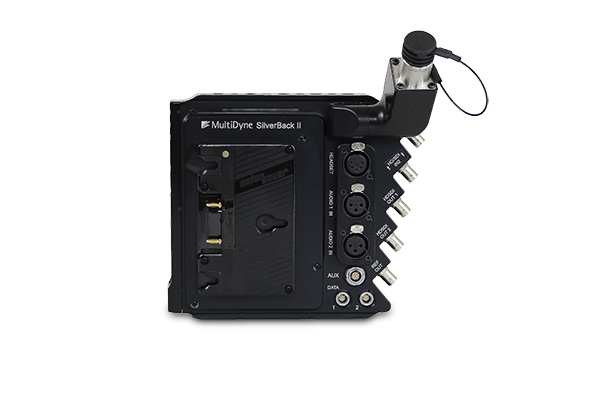 The new SilverBack II provides a full complement of bi-directional signals for almost any digital camcorder on the market today. These include camera systems from GVG, Hitachi, Ikegami, Panasonic, and Sony! Starting with the case itself, every aspect of the new Silverback has been refined to keep overall size and weight as small as possible without sacrificing performance or operability. Each unit is milled from a block of aluminum and the result is a fiber transceiver that becomes a seamless part of your camera without angles and sharp corners. The display uses high–intensity blue LEDs that are easy for the operator to see, but not intrusive. But as beautiful as the exterior design is, the elegance is on the inside. Inside is all the signal transport you need for video acquisition without compromises. Do you prefer a color LCD viewfinder? The return HD/SD signal is there. Do you like to have a program earpiece for your stage manager? Do you need timecode for recording in the camera? How about extra data? It’s all in there! 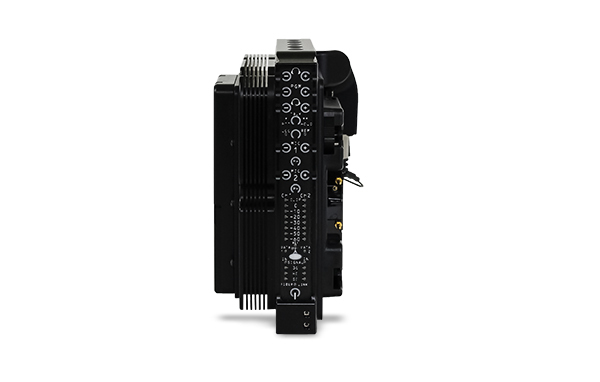 The receiver is a 1RU, third–rack enclosure with LED status indicators for each signal. You will love the size, weight, signal quality and cost savings.